We had a great stay at Grenada in Port St Louis Marina, thanks to Glynn! But on Saturday it was time to move on, so we set off for Carriacou which is just 20 miles off the north coast of Grenada. We were gone by 0630 to make the most of the cool morning, but not much wind so motoring up the coast., until we got out of the lee of the island then waves and wind. Grenada still has an active volcano a few miles off the north coast called ‘Kick em’ Jenny’ – at the moment it is officially called ‘restless’ so you have to sail 1.5km away from the peak (which is well under-water). First time the sails have been properly out which was good and thankfully/surprisingly uneventful. 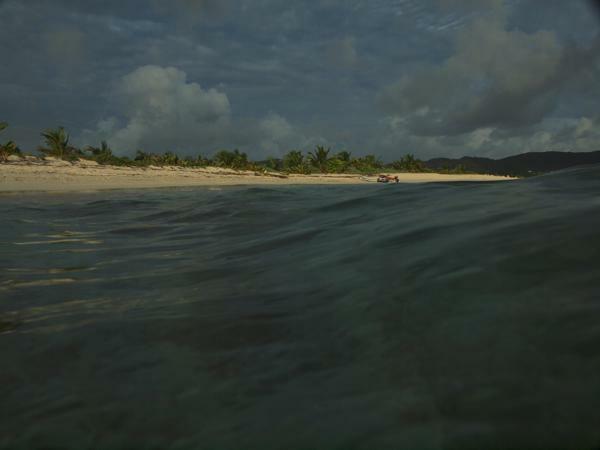 We arrived at Sandy Island on the west of Carriacou for early afternoon. 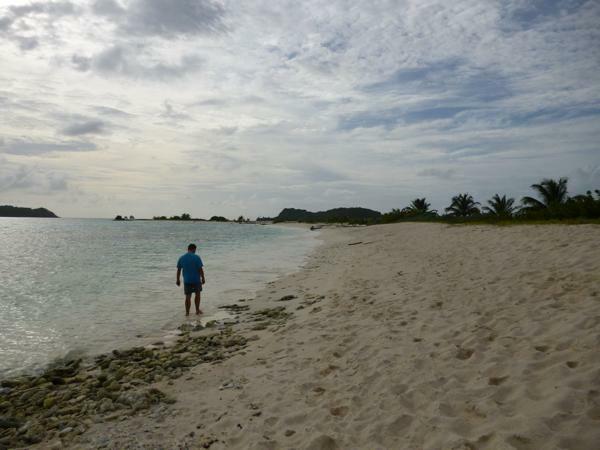 We only intended to stay a night at Sandy Island but ended up staying 3 – it is a tiny proper desert island – sand, palm trees, pelicans, fish and nothing else so a perfect location, it’s only about 300 m long in total. We also did a couple of dives over by Jack Adam’s Island which is about 10 mins in the tender away so we weren’t completely lazy. The area is a marine park so you have to tie up to mooring buoys which are in place. This was fine apart from the strong current which runs at random times and resulted in our boat wrapping itself around the mooring line and required a few minutes of mad sorting out as it tried to wrap itself around the rudder. Some messing with lines, swimming under the boat and plenty of stings from the things living on the mooring rope and it was sorted. But a great few days watching the world go by.